The established Japanese restaurant "Fuji" is running for 20 years in Victoria Park. That is near the Victoria Park bus station and in Albany Hwy. There is a good line up of Sushi, Japanese home cooking, set menu, and so on. You can enjoy authentic Japanese dishes. Fuji caters for functions/ parties. The lunch menu is available at reasonable price from 12-2pm (except Tuesday, Saturday & Sunday). Next to Fuji, there is a Japanese grocery store "Super Fuji"
You can find the signboard of Jun next to the Perth city cinema, in front of HIS, in Hay St. Then along this sign and going downstairs and you can find the Japanese style bar Jun(Izakaya). That is the specialised Yakitori restaurant (Japanese skewered chicken). There are tables, counter and Japanese style rooms. We are serving assorted Yakitori, deep fried crumbed dish, simmered dish and appetizer. We arrange functions/parties. Please feel free to ask us anytime. Jun looks forward to having you with enthusiastic & friendly staff and vibrant atmosphere. Zen Japanese restaurant is located in Subiaco, west of Perth city. You can enjoy eating and relaxing in a bright and nice atmosphere. All menu items are served with carefully selected ingredients daily, with authentic Japanese dishes such as sushi, tempura, grilled chicken all at affordable prices. A lunch menu is also available at reasonable price and with high quality food. There is a good line-up of Japanese sake, beer, shochu (Japanese distilled spirit) local beers, wines and appetizer. Zen also caters for functions / parties, so please feel free to ask any questions that you may have. 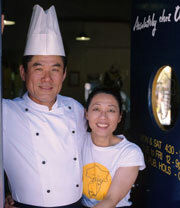 Owner chef Osamu Uchino and his partner Rico have opened "Absolutely chez Uchino" in Mosman Park since 2005. 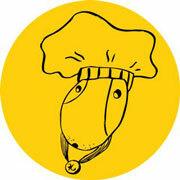 Their aim is to produce TASTY, AFFORDABLE but still HEALTY FOOD. The food is suited to everyone and ranges from Japanese to European cuisine. They offer casual BYO dine in, Take away, Food to Go, Catering and also Chef's Hire Service for your special Events. Bookings are essentials for the Dine in, as they are limited tables. They can organize special menu for your dine in, however you need to arrange it by the phone.